We are engaged in offering of Flex Printing Services. Our service range also comprises of Multi-Color Flex Printing Services. 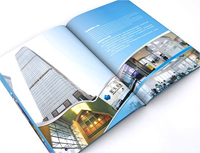 We have the expertise in providing a wide range of Flex Printing Services. These services have achieved recognition for their superior quality. The offered services are rendered using highly modern machines and innovative technology that are handled by our hard working experts. In addition to this, our professionals make sure to execute these services in accordance with the assorted preferences of respectable clients. We look forward to assisting you in your search for the perfect business that suits your needs. All type Web Printing believes we are that business. Our customer service, combined with our pricing, is unmatched by any competitor. All type Web Printing has been serving the Burlington area for many years and wants to earn your business. Our loyal customers love our personalized treatment; it keeps them coming back each time a new issue arises. Our customers are like our family. 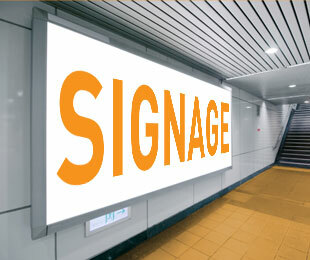 We have become popular among our clients by offering premium range of Glow Sign Board. These are manufactured using quality approved fade proof vinyl & backlit flex printing sheets in compliance with the defined international quality standards. Customized in terms of styles and designs, these are recognized for their fine finishing, high printing resolutions and durability. Our collection is prefect for display & advertisement purposes. As one of the leading companies, we are engaged in offering a wide array of Flex Banner to fulfill the demands of our clients. All these products are extremely rugged in state and ensure long lasting service life. Latest equipment and modern machines are used while manufacturing these products. These products are highly efficient and offer hassle-free performance.